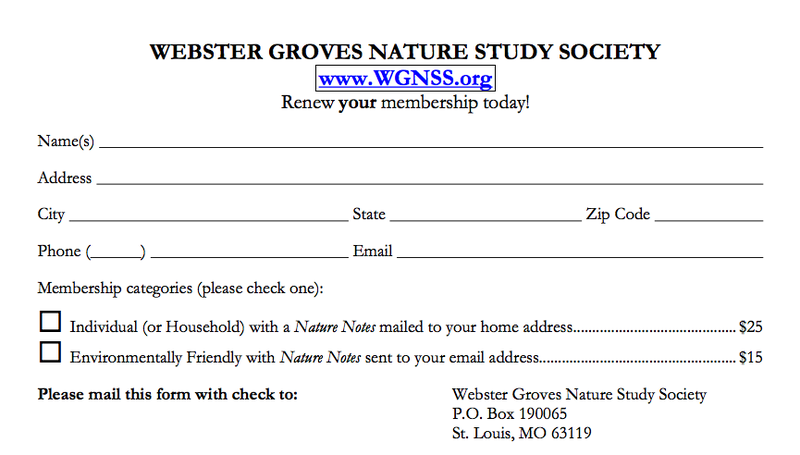 Nature Notes is the monthly newsletter of the Webster Groves Nature Study Society. We publish educational articles about nature and records of our observations in botany, birding, and entomology, as well as the updates on the society's events. All events are free & open to the public unless noted. Join WGNSS for birds, bugs, botany, book clubs and nature photography! The Nature Notes archived newsletters are free for you to download.